2018 is the year that we transform our portfolio of aparthotels with the opening of Native Bankside, Glasgow and Manchester, adding over 300 new apartments to our offer. Of the many red brick warehouses that were built in the 20th century to receive imports from all over the world, one of the last remaining is a stunning tea warehouse on the south bank of the Thames in central London, tucked just behind Shakespeare’s Globe and the Tate Modern on Bear Gardens. 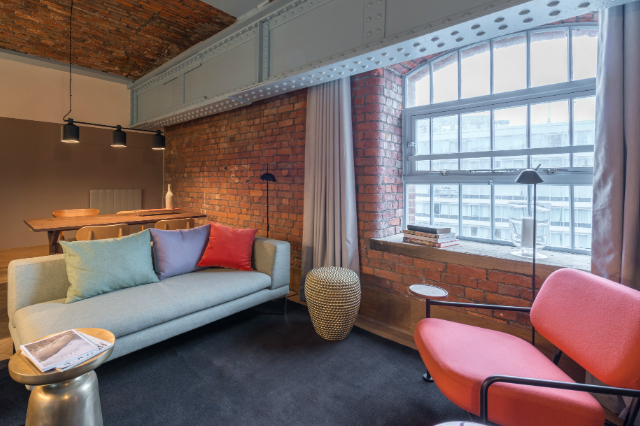 This newly refurbished beautiful space is the first aparthotel in the UK to achieve BREEAM Excellent rating, thanks in part to our close partnership and collaboration with the owner and developer. We have restored the original name – Empire Warehouse – and transformed a dilapidated but beautiful warehouse, into a spectacular aparthotel. 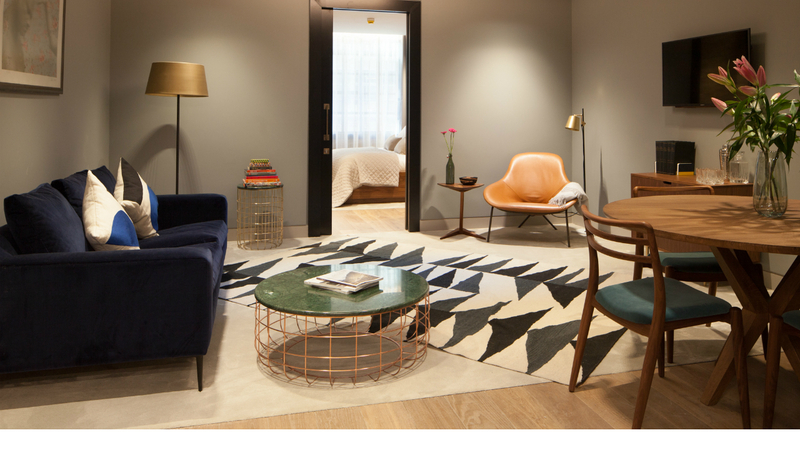 The 75 studio, one and two bedroom apartments at Native Bankside will offer guests easy access to London Bridge, Borough Market and Tate Modern. 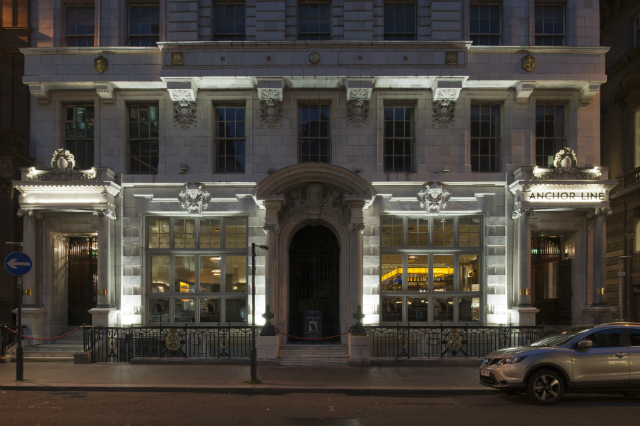 Our first foray in Scotland sees the opening of Native Glasgow, located in a fabulous Art Deco office building built in 1906 as the former headquarters for the Anchor Line Shipping Company. After suffering years of neglect, the building has been sympathetically restored with many of the original features retained. The ornate wood panelling, feature fireplaces and crystal glazed windows give the statement rooms a touch of the elegance found on the grand ocean liners of the time. We are working with the appointed interior architects, ICA, on this multi-million-pound refurbishment programme to create 64 studio, one bedroom and penthouse apartments. Native Glasgow offers a hotel-style service including a 24-hour reception, concierge and on-site breakfast. The building’s ground and basement floors are home to the Anchor Line restaurant and Atlantic restaurant, operated by the DiMaggios Restaurant Group, which are popular destinations for food and drink. We have a particular fondness for old warehouses as they make such amazing spaces and bring their own historic charm and style. That’s why we were delighted in 2016 to discover The London Warehouse in central Manchester for sale. A former Victorian cotton warehouse with magnificent proportions, its brick and iron frame was built in 1867 to store cotton bails before they were shipped by canal or rail to the capital. Thankfully much of the original detailing remains, in particular the wide cast-iron girders, cast-iron floor joists and stunning brick barrelled ceilings. We are restoring the original name – The London Warehouse – as the home of Native Manchester. This amazing project is being led by David Archer of Archer Humphryes who designed the redevelopment of the Chiltern Firehouse and Great Northern hotels. This newly refurbished aparthotel will provide 166 stylish aparthotel suites together with a brasserie, co-working space, cocktail bar, fitness studio, barber shop and beautiful flower shop. More details on the Native Manchester launch coming soon. Take a look at other properties within our aparthotel portfolio.